We test whether near-real time retrieval of ocean surface currents is feasible in the open ocean using a sea surface temperature tracking method. 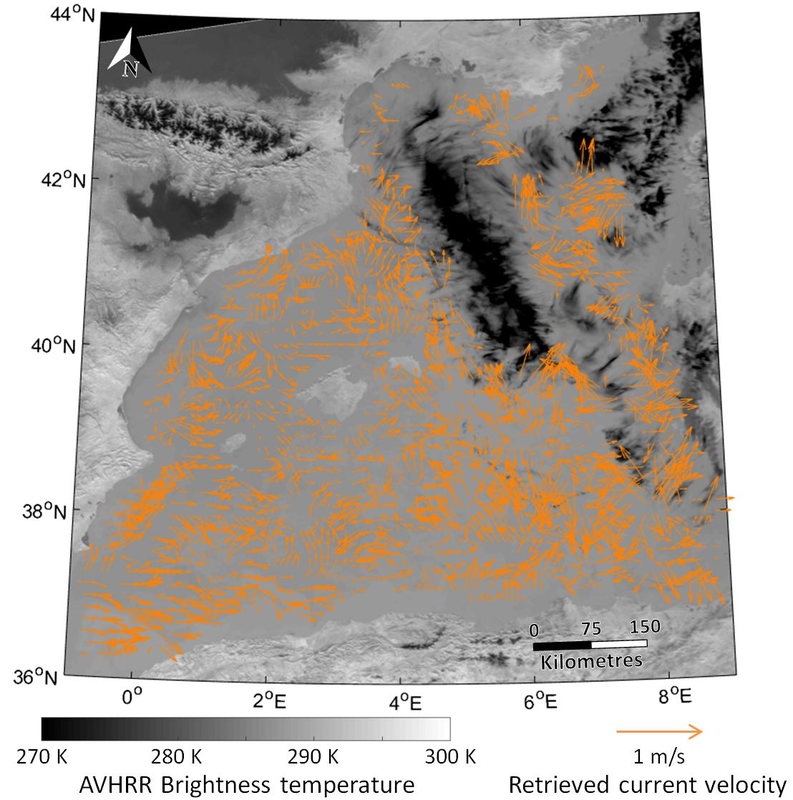 We use a year of spaceborne infrared (AVHRR) imagery over the Western Mediterranean Sea. The comparison with undrogued drifters is disappointing, but the retrieved currents match well the reanalysis. We conclude that satellite retrieval is indeed feasible, and that in such an eddy-rich (and windy) area, drifter observations should not be used for validation, but rather to complement the retrieved currents.